Featuring a vibrant design with authentic colour pattern and logo of the two times NBA champions, the Spalding Houston Rockets basketball is the perfect pick for a recreational match between two teams of friends, as well as for a throw practice. It ensures excellent resilience with sturdy cover made from rubber to provide long hours of enjoyment on the outdoor courts. The ball comes in size 7 (75-76cm) appropriate for adults and features the official logo of the National Basketball Association. 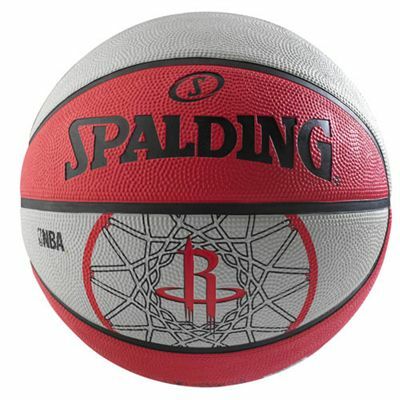 for submitting product review about Spalding NBA Houston Rockets Basketball.